Scott Beaver has been brought in to oversee UK-headquartered tech PR firm Liberty Communications' US operations as it opens an office in San Francisco, in a bid to develop its Silicon Valley presence. The position of vice-president of Liberty US and general manager of the San Francisco office is a new one and Beaver will start immediately. He was previously an account manager at Bateman Group and part of the agency's senior leadership team. He oversaw new business initiatives and managed comms for technology companies including Braintree, WeChat, Xamarin and Zenprise. The new branch is the technology PR firm’s third US office, with two others in New York and San Jose. 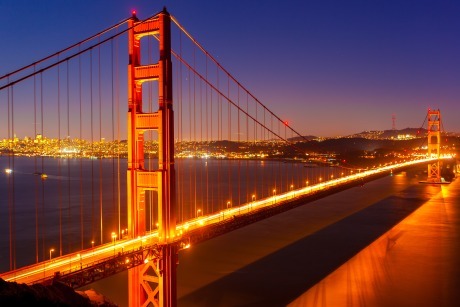 The move to San Francisco will add to its existing presence in technology hub Silicon Valley. Dee Gibbs, Liberty Communications CEO, said: "We are very excited to welcome Scott on board as we expand and develop our brand in the US and support our clients. "Scott brings a wealth of experience, enthusiasm and strategic thinking which will be of great benefit to our client base in the US market."